“We must not let half a million students…down. And we cannot wish them away either. Palestine refugees have been told to have a faith in peace processes until “a just and lasting solution” is found to their plight. Decades later, they have neither justice nor a lasting solution. The international community has a moral responsibility to sustain vital services such as education and health for Palestine refugees until the political conflict is settled. Because dignity is priceless”. This paper provides a legal and political background on UNRWA and its mandate. It also underscores the necessity to continue the support and funding of UNRWA by the international community and sets forth the Palestinian position toward the attempts to dismantle UNRWA and the impact this might have on the entire region. UNRWA was established by UNGA Resolution 302 (IV) of 8 December 1949 and mandated to provide basic services and carry out direct relief and works programs for Palestine refugees, pending a just solution to their plight in accordance with UNGA resolution 194, which affirmed, in paragraph 11, their right to return to their homeland and to just compensation. UNRWA exists and the need for assistance persists precisely because UN General Assembly Resolution 194 has not been implemented, actualizing the right of return and compensation. There has been no just, political solution for the plight of the Palestine refugees, a solution which remains central to the achievement of a just and lasting solution to the question of Palestine as a whole. Thus UNRWA’s mandate has been repeatedly renewed by the General Assembly, pending the realization of a just solution. “The linkage between UN Resolution 194 and UNRWA’s mandate suggests that the Agency is more than an executive body, which has to remain neutral. UNRWA’s mandate also has a political content, i.e. the facilitation of refugee repatriation and compensation based on the commitment by the international community”. The General Assembly also established the UN Conciliation Commission for Palestine (UNCCP), comprised of the United States, France and Turkey, as a mechanism for the implementation of UNGA resolution 194. The functions of the Commission included the facilitation of the return of Palestine refugees, resettling them in their homeland, and promoting their well-being, both economically and socially. In fact, UNGA resolution 302 actually directs UNRWA and UNCCP to implement the rights of return and compensation for Palestine refugees, in accordance with paragraph 11 of resolution 194. UNRWA is officially accountable to UNGA, by which its mandate is renewed every three years and from which it receives its clear guidance. Its mandate has been renewed, with overwhelming support by the Assembly, every term since UNRWA’s establishment. UNRWA considers Palestine refugees to be “persons whose normal place of residence was Palestine during the period 1 June 1946 to 15 May 1948, and who lost both home and means of livelihood as a result of the 1948 conflict”. This definition applies to Palestine refugees as well as to their descendants, in line with international standards. According to these international standards, the children and grandchildren of Palestine refugees are considered refugees. Their status and their rights as refugees, as per international law and UN resolutions, cannot be arbitrarily stripped from them and remain valid pending a just solution on the basis of resolution 194 (III). This was recently reaffirmed by Pierre Krähenbühl, UNRWA Commissioner-General who stated: “UNHCR considers the children and grandchildren of the original refugee who fled Afghanistan in 1979 as refugees. That is a principle that in no way is different between Palestine refugees and Afghan refugees, or for that matter refugees from Angola, Burma, Burundi, or Sudan or elsewhere. It rests on the notion that family unity, the principle of family unity, is keeping families united and together as one of the key parameters of managing refugee crises”. As such, refugee status will remain applicable until the first and subsequent generations of refugees and displaced Palestinians voluntarily choose a final solution, either to return home, or if such option exists in coordination with host states, to integrate, or resettle in those host countries, in addition to compensation. UNRWA provides assistance to 5.4 million Palestine refugees in Jordan, Lebanon, Syria, the West Bank, including Jerusalem, and the Gaza Strip. Per UNRWA’s statistics, at least one-third of registered Palestine refugees (more than 1.5 million), live in 58 refugee camps in the countries UNRWA operates. For 70 years UNRWA has constituted a safety net for Palestine refugees providing them with education, healthcare, social welfare services, emergency assistance, and infrastructure maintenance of refugee camps. UNRWA is funded by generous support from UN Member States, as well as from governmental organizations such as the European Union, the OIC, and others. Together, these sources constitute more than 92 percent of the financial contributions to UNRWA. During emergency responses, individual donors also play a significant role in responding to the needs of Palestine refugees. UNRWA’s annual budget is estimated at more than $1 billion USD. In 2017 the budget was $1.2 billion USD. Over the years, UNRWA has faced several critical financial crises. However, it has been historically structurally underfunded, whereby funding has been insufficient to fulfill the increasing needs of Palestine refugees, in particular due to the instability, humanitarian, socio-economic and political crises and conflicts they have weathered in the region and the consequent fragility of their living conditions, including rising emergency needs and situations of abject poverty. But the financial crisis that UNRWA is experiencing at the present time is the most critical. In fact, it is the “worst” crisis UNRWA has faced, according to UNRWA’s Commissioner General, Mr. Pierre Krähenbühl. Its severe fiscal deficit has been further exacerbated by the decision of United States to stop financial contributions amounting to $300 USD in 2018 – despite the US traditionally being the Agency’s largest single donor. In addition to voluntary contributions, in January 2018, UNRWA launched an international campaign called “Dignity is Priceless” to mobilize other financial resources in order to be able to cope with the funding gap. The campaign aims to open new tracks of funding and raise awareness globally regarding the plight of Palestine refugees. Since the beginning of this year the campaign has raised $238 million USD, but UNRWA still needs additional $217 USD to be able to keep its schools open and provide other essential services, including primary healthcare and provision of food aid, through the end of the year. It is highly regrettable that the United States government has decided to politicize the great work of this humanitarian agency. The US has dangerously predicated humanitarian aid to Palestine’s acceptance of imposed US decisions in violation of international law – disregarding and disrespecting the rights of the people of Palestine. Such actions also abrogate humanitarian principles, commitments and obligations. The US is disregarding the serious ramifications of reducing financial aid and services provided by UNRWA to Palestine refugees, who, in the absence of a just solution for their plight, largely depend on international aid for their survival. This unilateral, inhumane position reflects the contradiction between the US actions on UNRWA on the one hand and its claims of exerting efforts to carry out humanitarian aid projects to secure the welfare and prosperity of the Gaza Strip population on the other hand. Such developments would only deepen the marginalization, vulnerability and dependence of the Palestine refugees, further exacerbating their plight and further impeding the efforts to arrive at a just solution. Moreover, it will intensify the Palestine refugees’ sense of injustice and diminish their convictions in the possibility of redress for their rights and the achievement of justice. The resulting social, economic and humanitarian hardships and unrest can only generate further despair that will in turn inevitably generate violence, increase tensions, and exacerbate instability not only in Palestine and Israel, but will affect the stability, security, socio-economic and humanitarian conditions in the host countries throughout the Middle East region and globally. 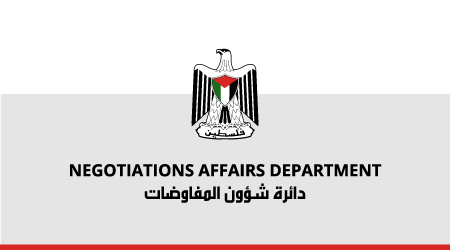 We regard recent US decisions on the reduction of assistance to the Palestinian people as constituting blackmail and punishment for their adherence to their inalienable rights and their refusal to relinquish those rights, including their right to East Jerusalem, the capital of the State of Palestine, as well as their rights to return and to self-determination in their homeland. The attack on the United Nations and its organizations, not only on UNRWA, is both bad judgment and dangerous diplomacy. We reject the American position to redirect critically-needed funding intended for UNRWA’s vital work. The provision of aid is not a gift but rather a duty and obligation of the international community, as per international humanitarian law and as per the repeated reaffirmations by the General Assembly of the permanent responsibility of the United Nations towards the question of Palestine until it is resolved in all aspects, including a just solution for the Palestine refugees. The plight of the Palestine refugees extends far beyond the existence of the occupation. We call on the United Nations Member States to work collectively and to make every effort to fully fund UNRWA and to work with the host countries of Jordan, Lebanon, and Syria, as well as the Agency’s Advisory Commission and donor countries throughout the world, to provide the required financial and political support. Such support is needed as a matter of urgency and as a reflection of their commitment to the realization of the rights of the Palestinian people, including Palestine refugees, and a just, lasting, comprehensive and peaceful solution on the basis of relevant United Nations resolutions and the Arab Peace Initiative. The overwhelming majority of the Member States of the General Assembly, who have annually assumed their political and legal responsibilities to protect the right of return and the continued functioning of UNRWA, as per international legitimacy until a just and lasting solution is achieved. We call on the international community to redouble its efforts in this time of crisis to address the root causes of all the political, economic, humanitarian, and security crises caused by the Israeli settler-colonial occupation that has lasted for more than half a century, and to secure a just and lasting political solution to the Palestinian question on the basis of the relevant UN resolutions that will bring an end to the Israeli military occupation that began in 1967, ensure the independence and sovereignty of the State of Palestine on the pre-June 1967 borders and the freedom and inalienable rights of the Palestinian people, and ensure a just solution to the plight of the Palestine refugees on the basis of resolution 194 (III). UN General Assembly Resolution 302(IV), A/RES/302 (IV), ¶ 20, 8 Dec. 1949. UN General Assembly Resolution 72/80, A/RES/72/80, ¶ 3, 7 Dec. 2017.